Congratulations to our girls football team who won the first round of the Mini 7's on Wednesday October 3rd. They beat Clonea, Crehana and Kilmacthomas. 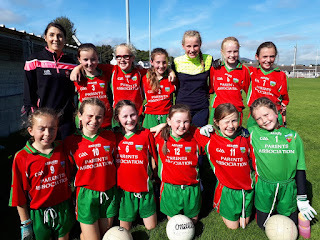 They now go through to the Mini 7's final on Tuesday October 16th in Carriganore. We wish them the very best of luck in the final.